Christmas is a great time for families to let each other know how much they love each other, share in holiday traditions, and spend time enjoying each others’ company. But the holidays can be difficult for military members and their families when they are serving overseas or are deployed during the holidays (I know, I’ve done both!). On that note, we put together this list of fun Christmas gift ideas for military members. Hopefully some of these items will help spread the joy of the season and provide some down time while deployed or traveling. Here is the criteria we used for these gift ideas: the gifts must be functional, affordable, and useful for a military member or veteran. Bonus points were given for added utility for items that could be taken on a deployment. Here are a few categories of Christmas gifts for your special military member or veteran! Electronics, Gadgets, and Toys (for the kid in all of us)! Military Shadow Boxes and Presentation Cases. One of the most popular ways to commemorate a military career is with a military award display case, complete with details of the veteran’s service. Most shadow boxes include the veteran’s rank insignia, medals, awards and decorations, service badges, unit badges, an American flag, the member’s name and rank, and similar memorabilia. You can often find hand-crafted shadow boxes in and around military communities, or you can purchase them through military vendors, such as USAMilitaryMedals.com, where you can also purchase medals, ribbons, rank insignia, and other items to complete your gift. Military Shadow Boxes & Display Cases Price: Variable Shadow Boxes, Display Cases, And Presentation Cases: Give your favorite veteran a gift to commemorate their service! Military artwork and lithographs. Most military members can relate their service to a particular base or weapon system. I spent 6 years as an aircraft mechanic on the F-15 and C-130 airframes. I think of the sights, sounds, and smells of the flight line each time I see or hear one of these birds. A great way to commemorate your service is by displaying a framed lithograph of your favorite base or special piece of equipment you are fond of. Military artwork can be found at many websites, but one of my favorites is AllPosters.com, which has an extensive selection of military artwork. Military Coin Rack. Military challenge coins have been a source of squadron and unit pride for decades. If you have been around the military for a few years, chances are good that you have a fair share of military coins in your collection. A great way to display them is in a case specifically designed for military coins. There are several variations available including desk top stands, wall mounted display cases, glass covered cases, etc. I have even seen some glass topped coffee tables to display coins and other military memorabilia. This wall mount coin rack is around $40 at Amazon and will display 7 rows of coins, or around 50 coins. Dog Tags. Every servicemember is issued dog tags when they enter the military. It’s easy to lose them as time goes by, so a replacement set is a great way to remember your service once you are no longer in the military. They are a great gift for veterans and retirees, and can be used for a variety of purposes, including being displayed in a shadow box, gifted as a keepsake, or gifted to loved ones to remember a family member who served. We do recommend reading our article on replacement dog tags for more details about which information to include, as you want to avoid adding things like Social Security numbers. You can find them on many military installations, military surplus stores, or at dozens of online stores, including USAMilitaryMedals.com. Every deployment is different. Some deployed locations have a decent Base Exchange, while others may have a small store, or nothing at all. The following gifts would be useful for almost any deployment, and most are small enough to fit into a care package for your deployed servicemember. Hands free LED lamp. These are great for deployments, working on your car or in the garage, or any other time you need need to use both hands for a job. LEDs are preferred over standard lights because they are bright, don’t create much heat, and don’t eat batteries as quickly as normal incandescent lamps. In fact, these lights can often burn for hundreds of hours before the batteries need to be replaced. These lights often came in handy on the flight line while I was an aircraft mechanic in the USAF. You can find them at Amazon starting at around $8 – $10. Shower caddy. Slogging through the sand and rocks to the shower tent is no fun – and neither is putting your soap and other toiletries on a community shower bench. Shower caddies are a great way to stay organized and keep your shower things clean and fresh. Shower caddies are also useful for regular traveling – I keep one locked and loaded for last minute traveling. Just grab it and throw it in your bag. You can find these at most department stores, or online at Amazon and other locations. Styles and prices vary, but you should be able to find a nice one for around $15. Utility tool. Every military member can use a utility tool – or two or three. I went through several of these during my years in the military. They are great for deployments, use during the line of duty, or for keeping in the glove box of your car. You never know when you will need a knife, screwdriver or other tool! My utility tool of choice is Gerber, but you can’t go wrong with a Leatherman or some of the other brands. You can find these at varying prices, starting around $28. Emergency Hand Crank Radio. This emergency radio features AM/FM/NOAA Weather bands, a Flashlight, Solar Power and Cell Phone Charger. Simply pull out the handle on the side of the radio and start cranking, or put the radio in sunlight to charge the batteries. A USB port allows you to charge your cell phone or other small electronic device. The flashlight also comes in handy when night rolls around. This is a great gift for taking on a deployment, keeping in your emergency kit at home, or placing in your car. It costs around $20 at Amazon. Portable DVD player. You may not need one of these if you have a laptop, but they can still come in handy, especially if your duties require you to stay in a fixed location for long periods of time, or if you travel frequently. The advantages of a portable DVD player over a laptop are a smaller size, better battery life, and increased portability. This portable DVD player from Sylvania costs around $55 at Amazon. Additional gift ideas for frequent travelers: Military members who travel or deploy frequently can use a few other gift ideas to make their travels a little easier. Some great gift ideas include inflatable travel pillows ($10), a luggage trolley ($25), and alarm clock with Bluetooth to connect to any smart phone ($40). Remote Control Helicopter. I received one for Christmas last year, and it was one of my favorite gifts of the year. 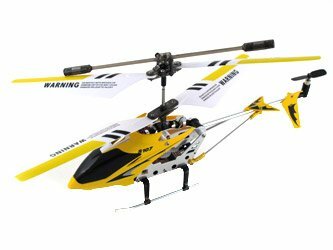 These are incredibly fun and easy to fly around the house, and with a little practice, you can get quite good at navigating through tight spaces and performing tricks. These are surprisingly durable, as mine have gone through multiple crashes without any lasting damage. If yours does get damaged, replacement parts (and replacement helicopters) are surprisingly affordable. You can find these at Amazon for around $20. Remote Control Helicopter Price: $19.49 Remote Control Helicopter - charge with a USB cable. Hours of enjoyment! Global Positioning System (GPS). GPS systems are awesome for frequent travelers, new drivers, or any time you travel to an unfamiliar area. I have a GPS in each car and I wouldn’t go on a long trip without one. I even pack mine in my carry on when I travel so I don’t have to worry about maps or paying extra from a rental car agency. These handy little units are coming down in price and can be had for less than $100. This Garmin unit is $94 and features a 5″ widescreen and free lifetime map updates. I have found the widescreen to be worth the extra money when purchasing a GPS unit, and the free lifetime map updates makes this an exceptional deal! Digital camera. There are literally hundreds of digital cameras to choose from, so we decided to go with a reliable and affordable name brand camera. You can’t go wrong with Nikon, Canon, or several other major camera producers. We chose the Canon PowerShot ELPH 190 IS 20MP Digital Camera, which features a 20 MegaPixel with 10x Optical Zoom and 2.7-Inch LCD display for the low price of around $139 (or less). It also shoots 720p HD video with a dedicated movie button! Bang for the buck, you probably won’t find a lower price on a more reliable camera. It is currently on sale for 27% off at Amazon. Kindle Fire – only $49! 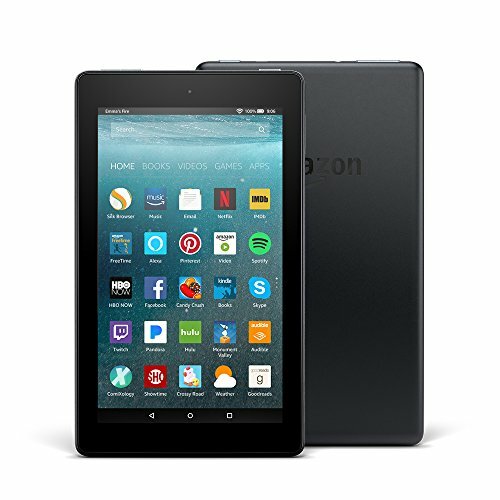 Kindle Fire, 7″ Display, Wi-Fi, 8 GB – Starting at only $49. This is the new color touch screen tablet and can be used for reading books, watching movies, surfing the web, playing games, and more. At $49, it is probably the most impressive item on the list. Kindle Fire Price: $49.99 Kindle Fire - 7th Generation with Alexa. Apple iPod Touch or iPad. I’ll lump these two items together, even though they are quite different in size and price. The iPod Touch is basically an iPhone without the phone. It can store thousands of songs, dozens of movies, hundreds of photos, games, apps, electronic books, and more. The iPad is a larger version of the iPod Touch, with a few more features. Both are compatible with the Kindle app from Amazon, which allows you to download and read eBooks. Which is better – iPod or iPad? That depends on the desired use, and the budget. The iPod is better for personal use and portability, while the iPad is better for sharing, playing games, or watching movies. The iPod can be purchased from around $200 and up and the iPad can be had for around $500. If you decide on the iPod Touch, I recommend getting at least 32GB of storage, as you will want to be able to store more music, movies, pics, etc. The latest version of the 32GB iPod touch rings in at $249. The iPad Mini is relatively affordable at $340, and the current generation iPad Air starts at $319, but look for them to come down in price in the near future. Laptop. Laptops are great for deployments – I used mine frequently, as I was enrolled in online classes while deployed. This enabled me to type my term papers, study, download the photos I took, and watch movies in my downtime. There are a wide range of laptops for every need and budget. On the low end, you can buy a netbook running the latest edition of Windows, less than $200. These are smaller and lighter in size and are great for deployments (the only downside is many of them do not come with a DVD drive, and they may have limited on board storage). 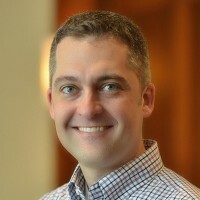 A full sized PC laptop running the newest version of Windows – Windows 10 – can be had for around $400 and offers hours of utility and entertainment. If you are a fan of Macs, then you can buy a base model MacBook for around $1000. You can get one for around $850 if you buy a refurbished model from the Apple Store, check them out at the Apple Certified Refurbished MacBook Department at the Apple Online Store. Perhaps the gifts that are most appreciated are the gifts that remind military members of home – the Christmas tree, friends, family, and holiday traditions. These are especially valued by members who are living and serving overseas. Gifts can include anything that reminds someone of home. It could be a local or regional item they can’t find elsewhere, homemade cards and gifts, or anything else to let them know you are thinking about them. Handmade items such as scarves, quilts, helmet liners, etc. Many of the links in this article point to Amazon.com because that is one of the best places to do some quick comparison shopping. Amazon is also attractive because they ship to APO/FPO addresses and often feature free shipping if you are an Amazon Prime member, or when you spend a minimal amount (usually $35, but it may vary). You should always shop around for the best deals. The Great Big List Of 75 Frugal Gifts You Can Give This Christmas. Do you have any other Christmas gift ideas for military members? Before I include this in the next Frugal Feast, I’d like to see something about mailing restrictions: civilians will be wanting to mail stuff to troops overseas, and things like the multi-tool will be x-rayed and not shipped. With the recent cargo plane incidents, all cargo coming and going will now be scanned, so knowing the current overseas mailing restrictions will greatly help. Many of these items in the story won’t be usable to troops in the sandbox, because dust is a major issue with electronics. Batteries are another–they cannot be shipped overseas. Hi Wenchypoo, Thanks for your comment – and great points. I deployed to the sandbox several times and never had a problem with any of the electronics I brought with me (a laptop, digital camera, and portable DVD player were the items I took with me, but I also knew people who brought iPods, Gameboys and other handheld gaming systems, video cameras, and other electronics). It’s important to keep the items securely stored when not in use and clean them when they get dirty, but other than that, they should be fine. Batteries can be shipped as long as they are declared. Here is more information about battery restrictions. Regarding knives and multi-tools – The USPS has a list of hazardous materials, which includes knives and other sharp instruments. These items may be shipped with a waiver from the local postmaster (the intent of the rule is to protect postal workers). These multitools are sold in a rigid plastic package that will prevent anyone from being hurt while handling a box containing an unopened multi-tool. You can use form 215.3 to apply for a waiver to ship restricted matter. Also see: USPS Mailing Restrictions for Military Members Overseas. Here is more information about USPS Publication 52 – Hazardous, Restricted, and Perishable Mail, and additional USPS – Military Mailing Restrictions (mostly items which are prohibited in the Middle East and other areas where our deployed military members serve). I hope this information helps! A nice list you have gathered here. Considering getting a Gerber multitool for a friend in the Army. Thanks Ryan! I believe the Amazon Kindle is the perfect gift. Reading can be quite stress relieving and the Kindle saves a lot of room as well, instead of sending books all the time.